ICYMI: Batman’s Butler Alfred Gets His Own Origin Story In "Pennyworth" Teaser! When one door closes, another one opens. With the Batman prequel “Gotham” coming to an end, it only makes sense for storytellers to go back even further, well before Bruce Wayne is even conceived. Audiences are going to be taken all the way back to a time when Wayne Manor’s finest butler was the one serving up justice instead of crab cakes. Before he suited up in the traditional penguin suit, he was rocking some serious secret agent fatigues while kicking the crap out of the bad guys, saving the day, and almost certainly getting the girl. This prequel to the prequel will bring viewers a front row seat to an entirely new side of the infamous guardian to Gotham’s Caped Crusader. The new EPIX series goes back to the swingin’ '60s to tell the origin story of DC’s favorite surrogate father. And from the looks of the latest trailer, Master Bruce better step aside because Alfred Pennyworth is a force to be reckoned with. Tea time and crumpets are out the window on this one. They're getting replaced for espionage and action. And with the direction this show seems to be heading, James Bond may be given a run for his money as well. This Alfred is a former British SAS soldier in his 20s living in 1960s London where he starts a security company with a young billionaire named Thomas Wayne, who we all know will eventually be the father of one Bruce Wayne. Thomas will be played by Ben Aldridge and the role of Alfred will be taken on by Jack Bannon. This series will fill in the blanks on the life of the dark vigilante’s valet as well as hopefully explain why a badass secret agent would want to eventually become a steward. Bannon joins a sacred group of performers who have brought this important role to life. This list of greats includes Michael Gough (Batman, Batman Returns, Batman Forever, Batman & Robin), Jeremy Irons (Batman V. Superman, Justice League), Sean Pertwee (“Gotham”), and Ralph Fiennes (voice in The LEGO Movie). But the one that truly stands out is Michael Caine from Christopher Nolan’s Dark Knight Trilogy. Caine’s take is arguably the best ever, giving the character more emotion and depth than any previous iteration. In the comics, Alfred’s backstory includes being an MI-5 agent. Caine’s version utilizes this plot thread when he tells the impactful story about his time working for a local government in Burma trying to catch a bandit in his younger years. EPIX intends on diving into those origins in more detail than anyone has ever done before. If all this isn’t enough, wait untill you see who agent Alfred Pennyworth will be going toe-to-toe with. Batman has a very impressive rogues gallery and some would argue his villains are more famous than him. So it only makes sense that, for Alfred to be able to prepare Bruce Wayne for Scarecrows and Penguins, he’d have to have had a few run-ins with some legendary foes. Classic villains of British literature will be featured in the series, as well as Jack the Ripper himself. Well, not the original Jack the Ripper, because he was active in the 1880s, but the descendants of the mysterious homicidal maniac. Jack The Ripper Jr. or Jack the Ripper III is a fitting Joker-eque rival for young Pennyworth if the show does, in fact, go in that direction. Either way, Alfred will easily clean up any mess these evil-doers cause and literally wipe the floor with them soon afterward. This series from DC looks great and will be a fine addition to the ever-expanding legend of Batman. 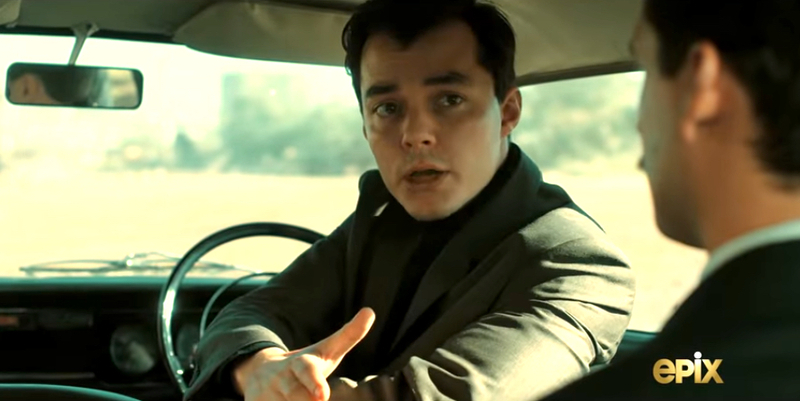 “Pennyworth” will debut on EPIX sometime this summer.